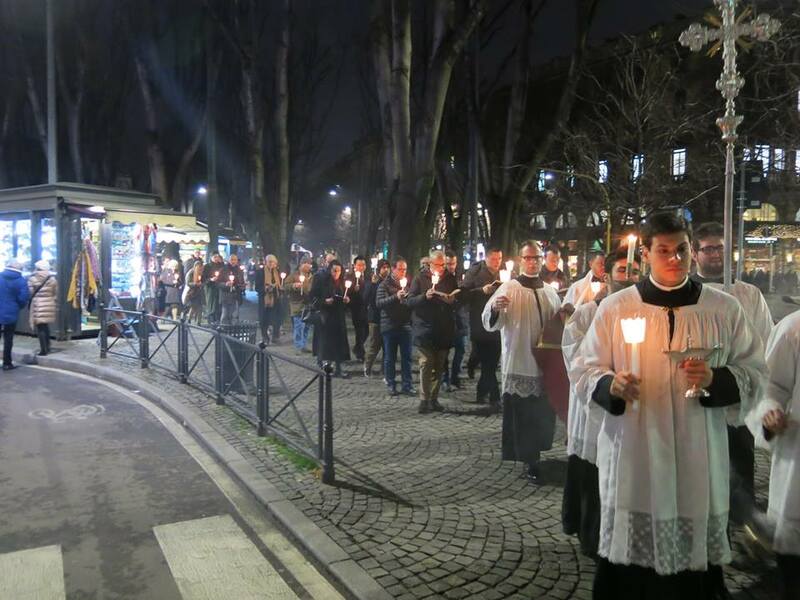 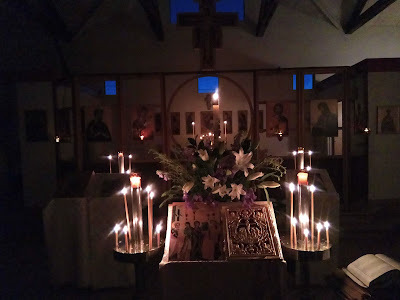 We received almost twice as many submissions for this year’s Candlemas photopost as we did for last year’s, in part, I suppose, because last year it was in the middle of the week; we will therefore have a second post tomorrow. 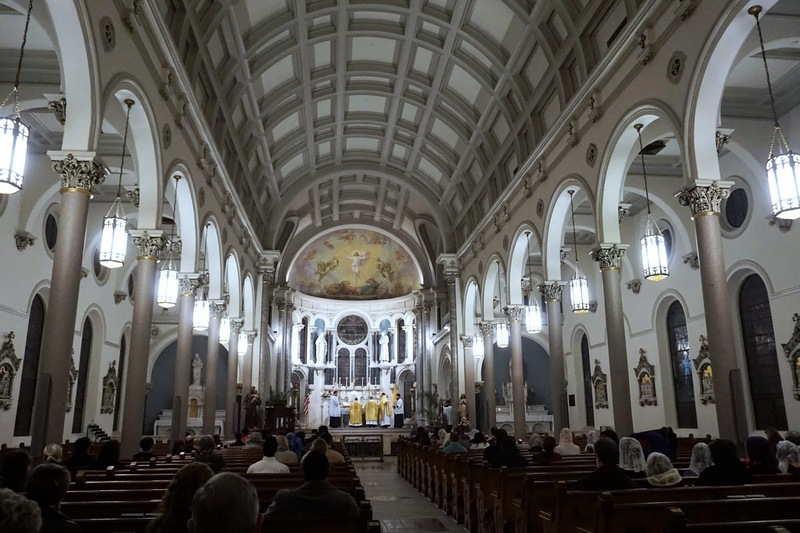 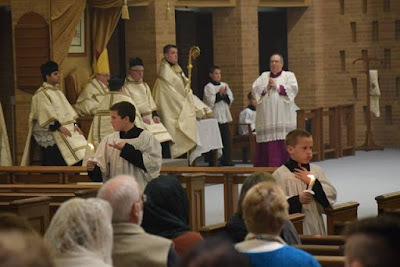 This set includes a Pontifical Mass, celebrated by His Excellency Robert Morlino, Bishop of Madison, Wisconsin, as well as a video of an interesting feature of the Ambrosian Rite. 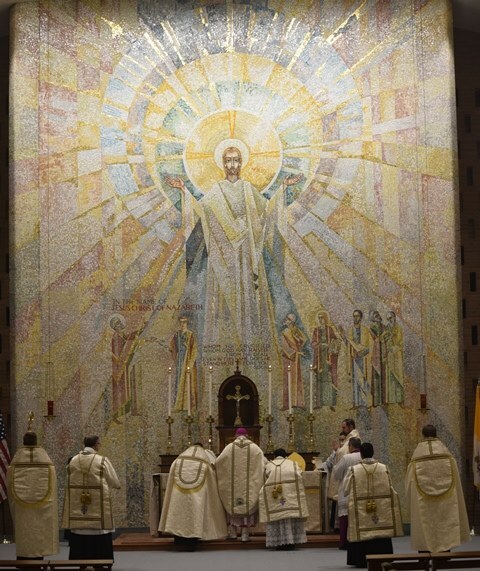 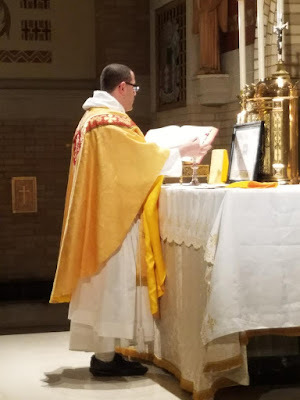 As always, we are very grateful to all of our readers who contributed; know that you are doing important work to inspire and enourage others to better and more beautiful celebrations of the sacred liturgy. 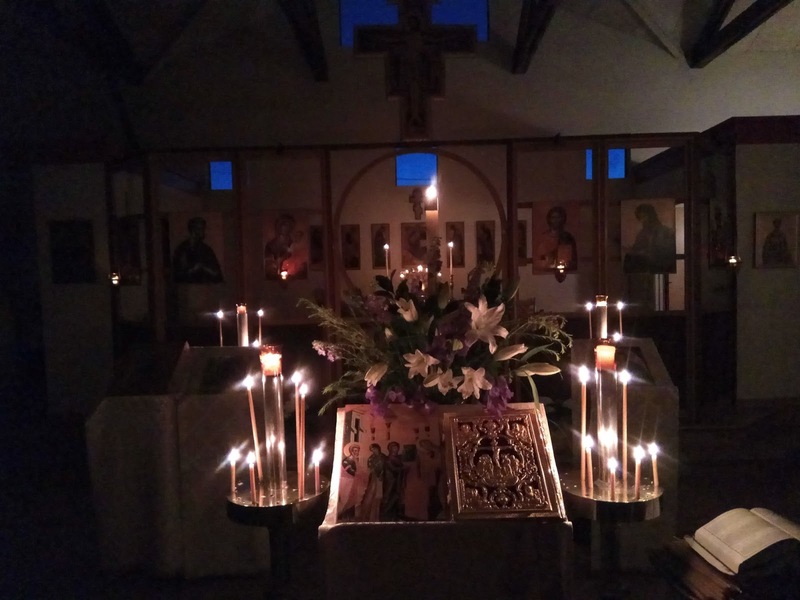 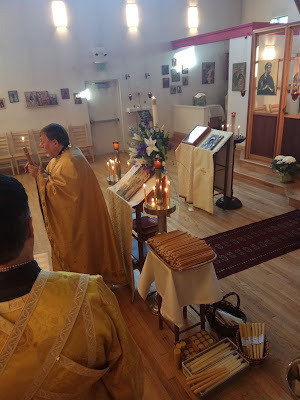 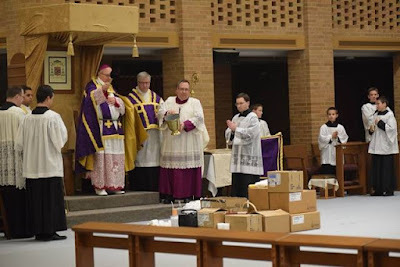 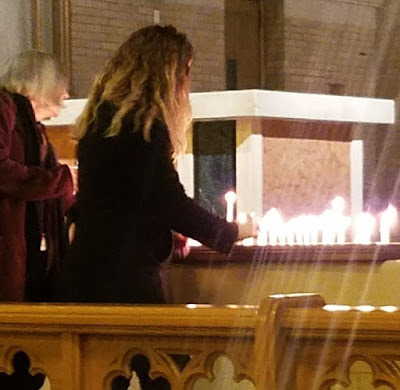 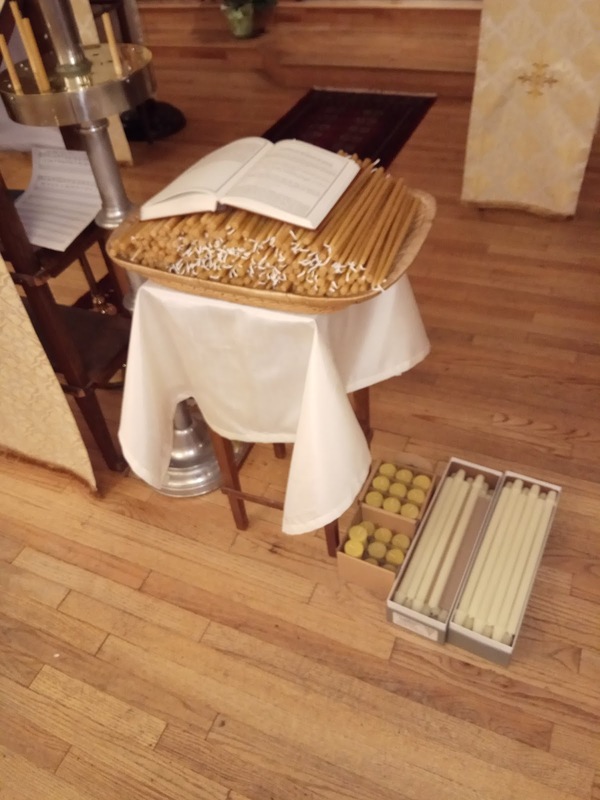 As one of our contributors wrote, “the photoposts that NLM has done within the past few years have inspired me and our little group to improve our liturgies as best we can (within a shoestring budget. 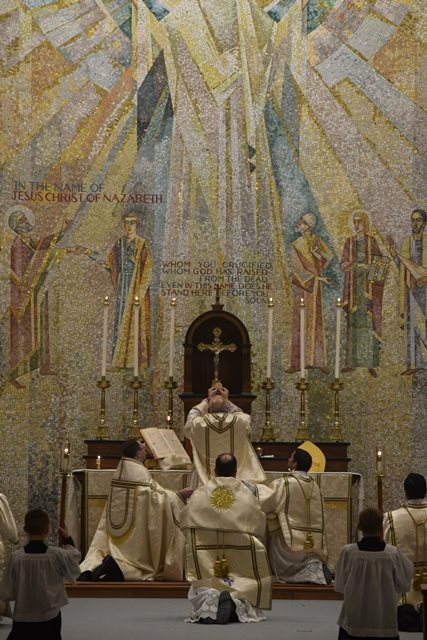 )” This is something you have done, so thank you, and continue to evangelize through beauty! 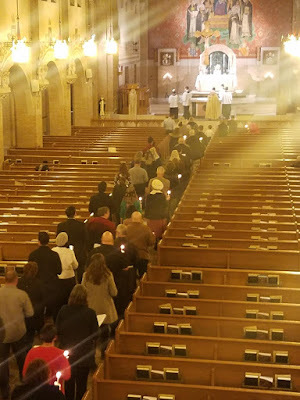 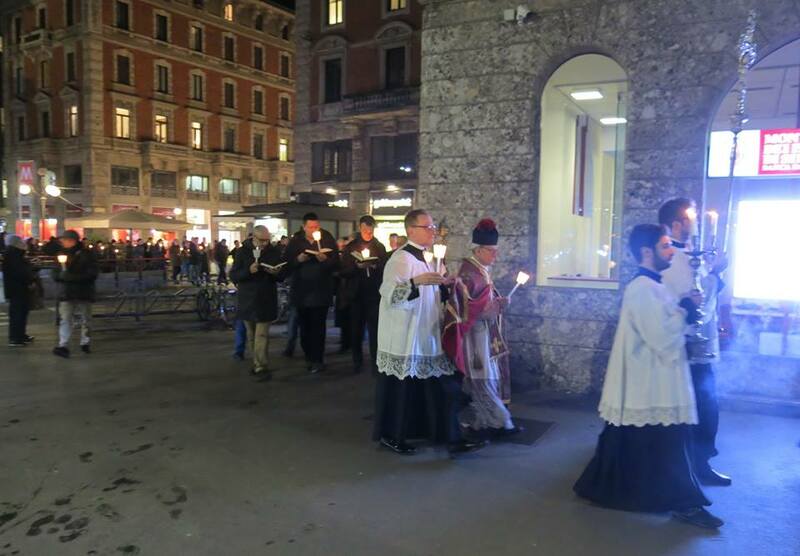 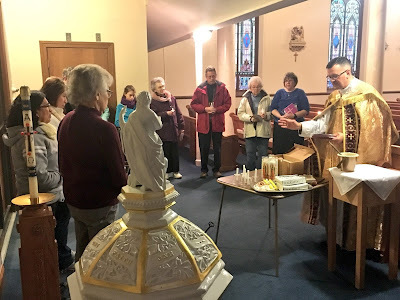 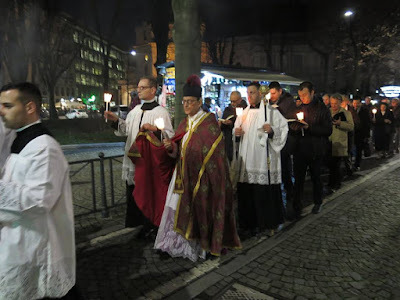 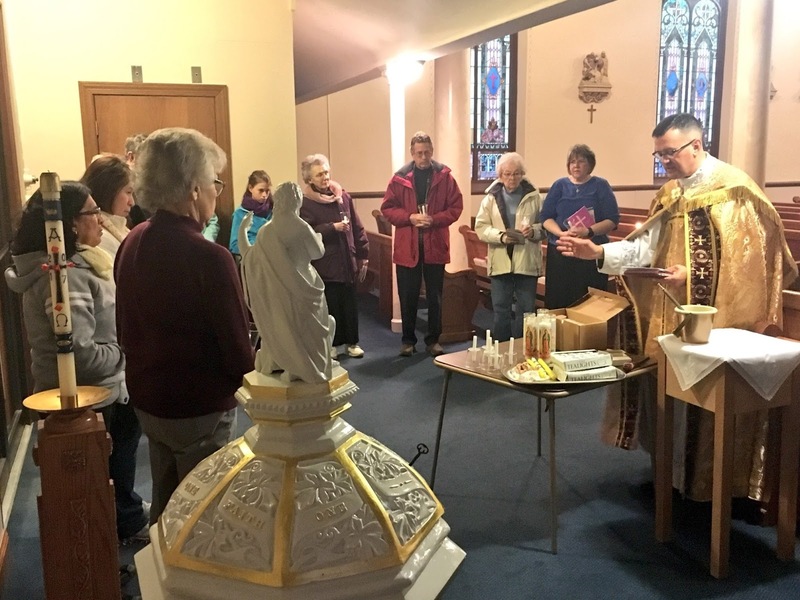 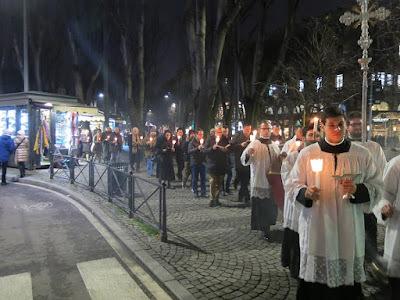 Because of the long route, in addition to the normal processional antiphons, the choir led the faithful in singing the Litany of Loreto and the Ave Maris Stella, and the pastor led the recitation of the fourth mystery of the Rosary. 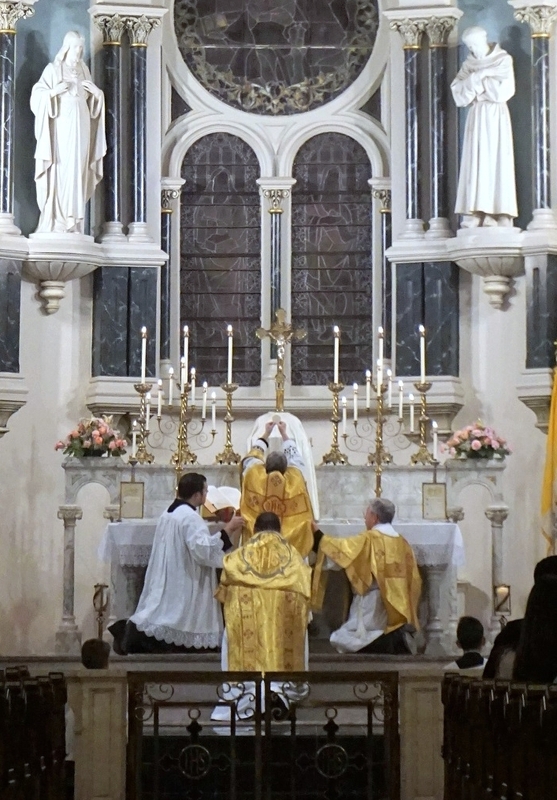 During the procession, the altar was changed to white. 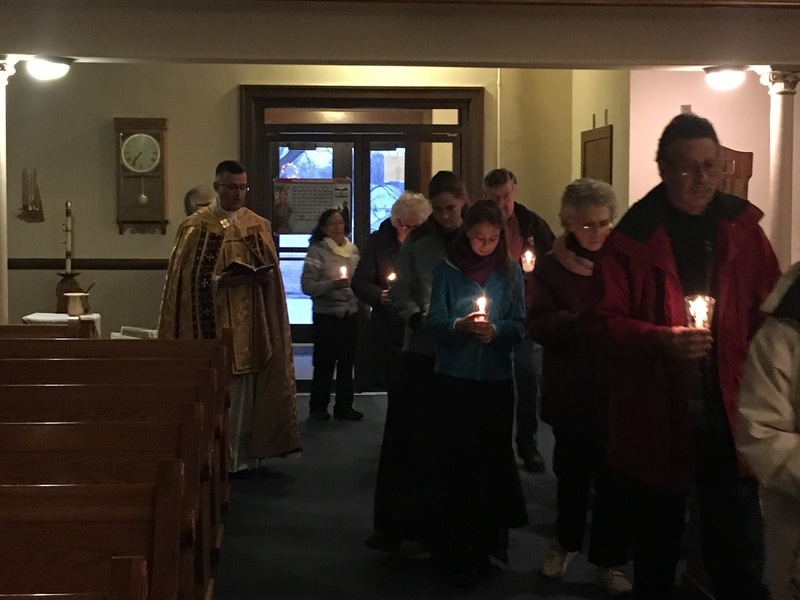 The celebrant and faithful hold candles for the singing of the Gospel. The faithful holding candles during the Canon. 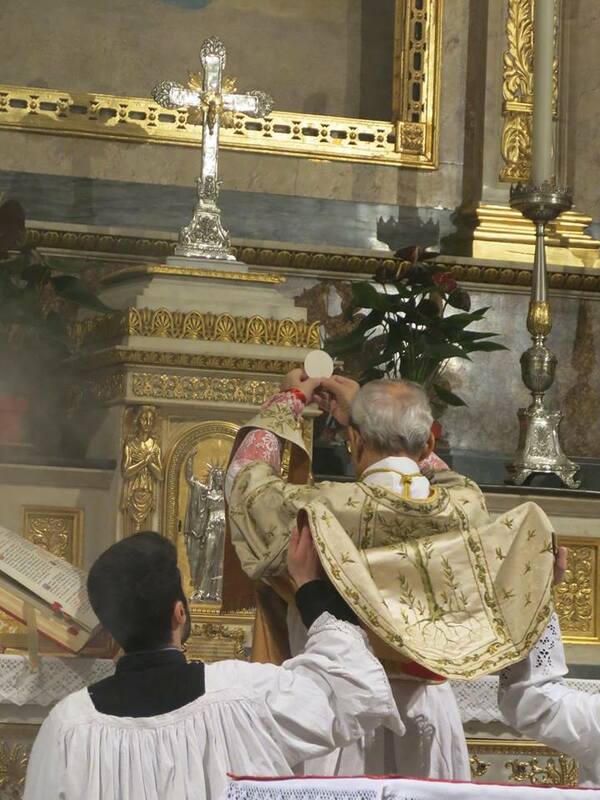 The celebrant, Mons. Luigi Mangnini, as archpriest emeritus of the Duomo and member of the chapter, uses the ferula as a bishop uses a crook, but during the procession, it is carried by an acolyte, seen here to the right. The MC is, of course, our own Nicola de’ Grandi. 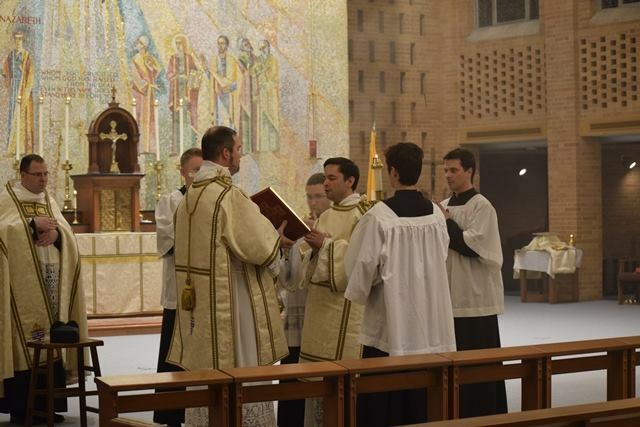 This video shows a processional rite which is done at every solemn or sung in the Ambrosian Rite. 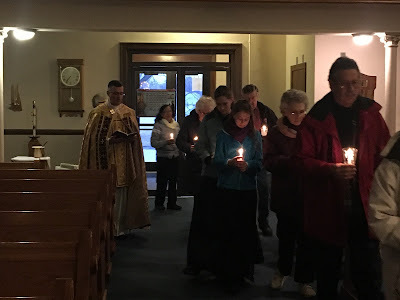 including Candlemas. 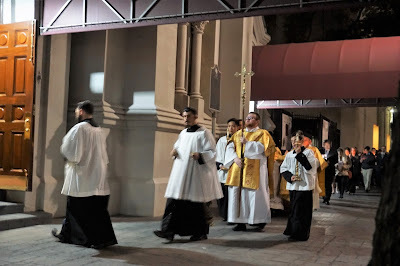 The processional cross stops at the entrance to the sanctuary, and the bearer turns to face the celebrant; the clergy and servers stand in two lines facing each other. 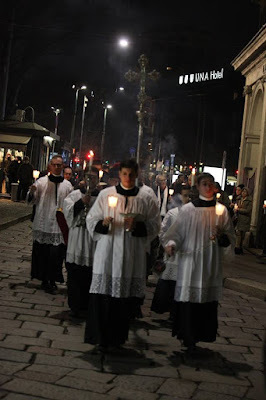 Twelve Kyries are sung, six low and six high, followed by a chant called a psallenda. 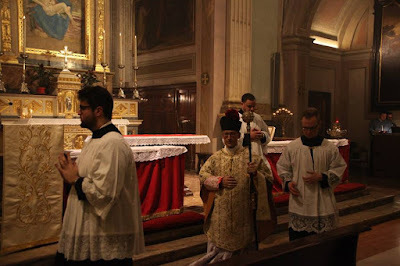 At the Gloria Patri, all bow to the cross, at Sicut erat, to the celebrant; the psallenda is then repeated, and the procession enters the sanctuary. 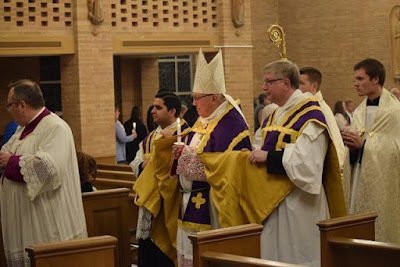 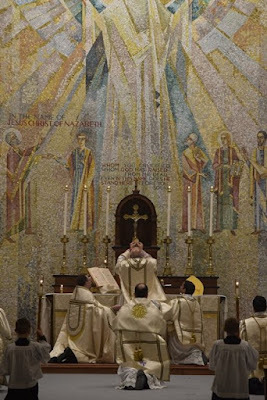 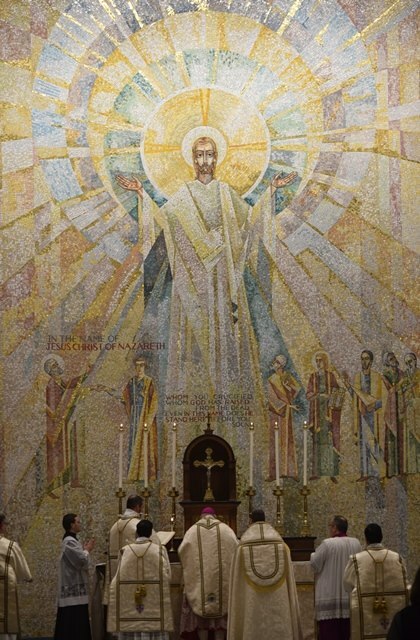 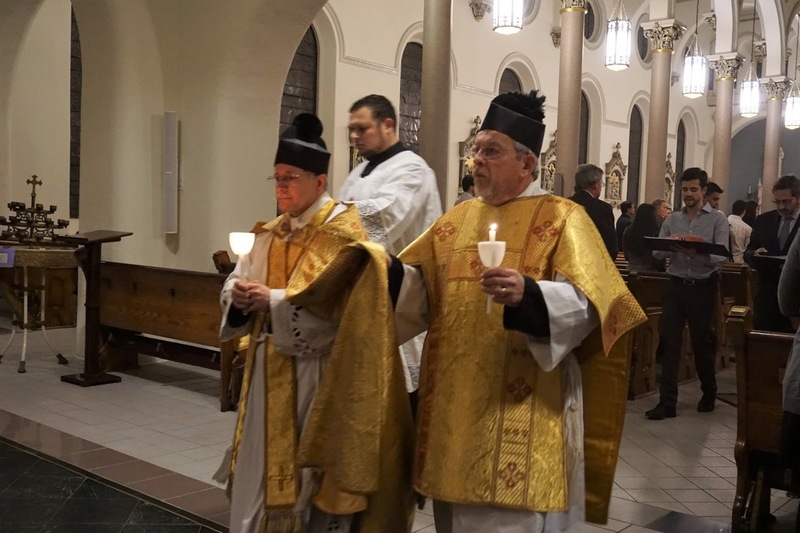 Pontifical Mass celebrated by His Excellency Robert Morlino, Bishop of Madison Wisconsin. 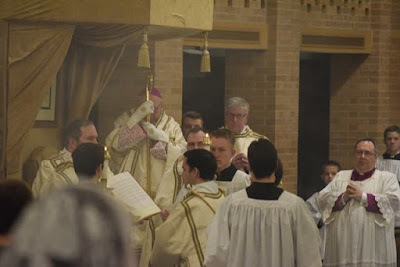 Courtesy of the MC, Fr Zuhlsdorf, and the Tridentine Mass Society of Madison.